People who are lesbian, gay, bisexual, transgender, queer, or questioning (LGBTQ) come from all walks of life, encompassing all races and ethnicities, religions, and social classes. 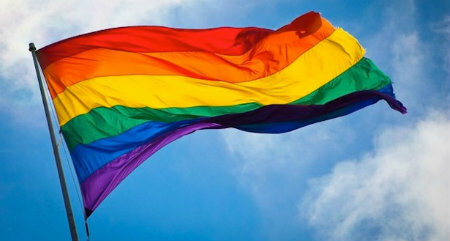 It is estimated that approximately 3% of the U.S. population identifies as LGBTQ. Research has shown that members of the LGBTQ community face an increased risk for a number of physical and mental health threats when compared to their heterosexual peers. Some of the increased risk has been attributed to sexual behavior, but others are linked to social and structural inequities, such as the stigma and discrimination, and the denial of civil and human rights. Indeed, discrimination against LGBTQ individuals has been associated with high rates of mental health disorders, substance abuse and suicide. Further, LGBTQ youth experience higher rates of violence, victimization, and homelessness. Research has also found disparities in behavioral health care for LGBTQ individuals. Studies have suggested that barriers to treatment services often include discrimination, provider hostility and insensitivity, strict binary gender (male/female) segregation within programs, and lack of acceptance in gender-appropriate recovery groups. According to the Centers for Disease Control, the perspectives and needs of LGBT people should be routinely considered in public health efforts to improve overall health and eliminate health disparities. published in AJO since 2010. 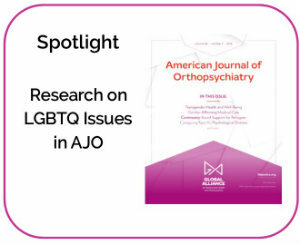 Note that one of the articles from the special section, entitled, "Culturally Competent Evidence-Based Behavioral Health Services for the Transgender Community: Progress and Challenges," is available open access.